BURBANK, Calif. - March 15, 2017 - PRLog -- McCormick Construction, a premier builder shaping the culture of buildings and businesses throughout the Western United States since 1914, announces the completion of Galena Business Park, a $13.3 million industrial office park in Jurupa Valley, California. Located at the corner of Galena Street and Troy Court, Galena Business Park consists of five high-bay industrial buildings ranging from 28,382 square feet to 67,483 square feet, totaling 221,000 square feet of industrial and office space. 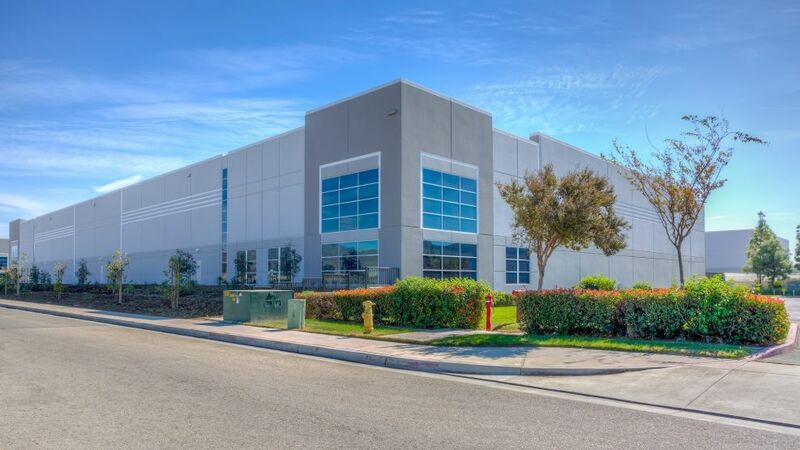 Developed by Chase Troy, LLC, the business park was developed to provide new space for a variety of light manufacturing companies in the Inland Empire. "The industrial market has remained hot over the past few years, which can be attributed, in large part, to the growth of e-commerce," said Michael McCormick, president and CEO of McCormick. "Moreover, with rising commercial rents in the greater Los Angeles area, many companies are relocating to the Inland Empire, including retail giants Amazon.com and Macy's, which have claimed industrial space for fulfillment and distribution services." McCormick's scope of work included the tilt-up construction of the five buildings – each including mezzanines, office spaces, restrooms and coffee bar areas. McCormick was also responsible for site-wide infrastructure improvements, including electrical, domestic water, storm water and sewer monitoring systems. In addition, the project team was able to meet CalGreen requirements, reducing negative environmental impacts and encouraging sustainable construction practices to improve public health and safety. McCormick worked closely with the owner, design team and subcontractors throughout the project to mitigate any potential complications and additional costs. Ultimately, McCormick was able to deliver a savings of nearly $1.5 million through value engineering, aggressive buyout and skillful management of allowances and change orders to the prime contract. During the grading phase of the project, the owner opted to upgrade the standard fire suppression system within each building to early suppression fast response (ESFR) fire suppression piping in order to attract a broader range of potential buyers/tenants. This change could have resulted in months of delays and extensive redesign costs. Instead, McCormick worked with with GAA Architects and the design-build subcontractor to minimize added costs and eliminate the need to incorporate costly fire pumps. "McCormick's expertise in constructing industrial facilities benefited the project overall by providing essential insight that allowed the team to complete Galena Business Park on-time and within-budget," said David Parker, president, Chase Partners Ltd. and director, Investment Group,Charles Dunn Company. The McCormick project management team included Don Shipley, operations manager; Mohamed Felo, project manager; Greg Badgett, general superintendent and Stephen Chadwich, superintendent. In addition to Galena Business Park, McCormick's recent projects include Nickelodeon Animation Studio, a new five-story, 110,000 square foot production building in Burbank; Element LA, a 12-acre, 300,000-square-foot adaptive reuse campus in Santa Monica; and Santa Monica Gateway, a 200,000-square-foot, Class-A creative office project, which is currently under construction in Santa Monica. Since 1914, McCormick Construction has been impacting the culture of buildings and businesses in the Western United States. McCormick specializes in providing a full-range of services, including general contracting, pre-construction, construction management, design-build and tenant improvements. McCormick is dedicated to delivering quality workmanship and contributing to the well-being of the community in public service, job creation and economic growth. In addition to industrial, McCormick specializes in corporate and creative office, entertainment, education, interiors, retail, and multifamily residential complexes. McCormick's multifamily experience includes mixed-use and hospitality projects. McCormick has completed projects across California, Arizona, Nevada, and Utah. For more information, please visit www.mccormickbuilds.com.